3D Prezi presentation template for a logistics/transport/delivery related presentation. 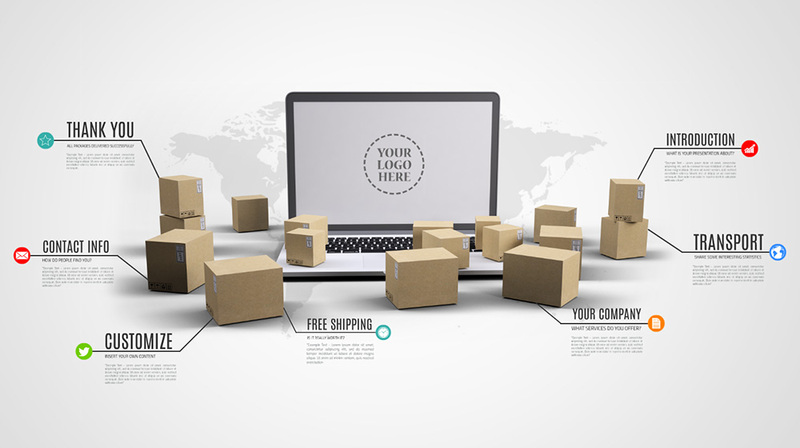 A 3D laptop with scattered cardboard boxes, illustrating online sales and shipping. Good template for presenting the services of a transport company. Present about onlines sales, free shipping, delivering packages around the world. This entry was posted in Best Prezi presentation templates and tagged 3-d, 3d, 3d boxes, 3d ecommerce, 3d laptop, about, alptop, and, around, best, boxes, cardboard, cardboard boxes, cargo, cargo workers, company, delivery, delivery boxes, ecommerce presentation template, eshop presentation, for, free, free template, global shippingm free shipping, logistics, online sales, prezi template, prezi template logistics, transportation company presentation, webshop presentation.